Seagate today announced their new product called Wireless. The storage can be accessed through the free mobile Seagate Media app for Apple iOS, Android, Kindle Fire HD, Windows 8 tablets. 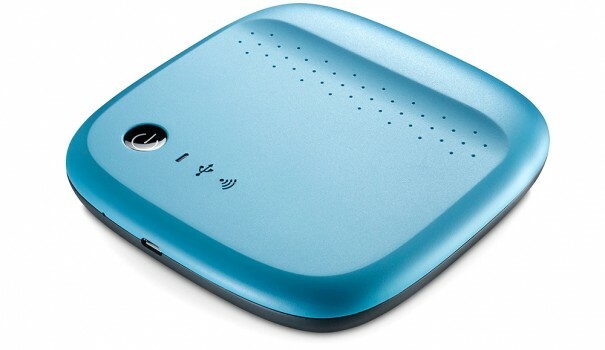 Mobile devices connect to Seagate Wireless over a Wi-Fi connection, which the battery-powered drive emits once powered on. Simply connect to the drive by searching for Seagate Wireless in available Wi-Fi networks from any device. The drive emits its own Wi-Fi signal, eliminating the need to be within range of an existing network connection. The Seagate Wireless 500GB will be available via Amazon, Best Buy and Seagate.com in the United States beginning early-Feb for $129.99 in lime green, cool blue, slate grey, fire-engine red and white colour options. There is no word on the pricing and availability for other markets right now.